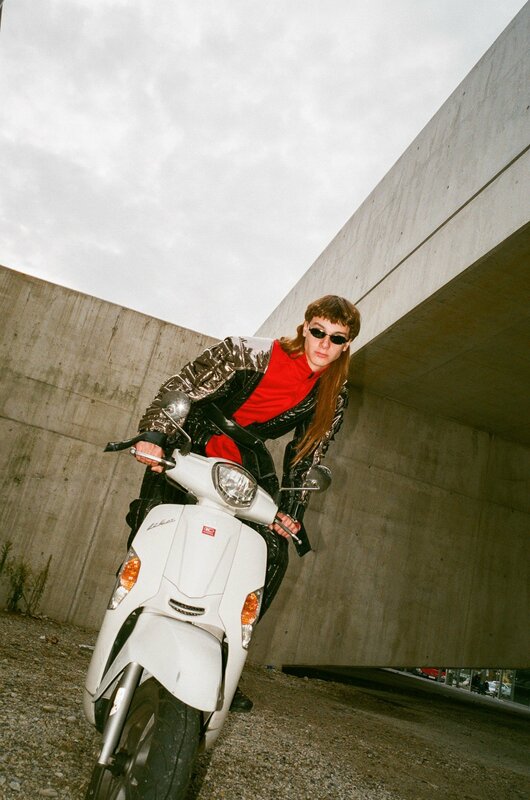 Gosha Rubchinskiy’s reign as Eastern Europe’s fashion kingpin may be well and truly over, but there is a new guard of designers to follow who are challenging the image of masculinity in their home countries. Men’s fashion is often regarded as a rather conservative field. At a glance, menswear falls into two categories: dapper tailoring or relaxed sportswear. Then you have well-cut jackets and trousers, garments which are as practical as they are straightforward. But this needn’t be the case. 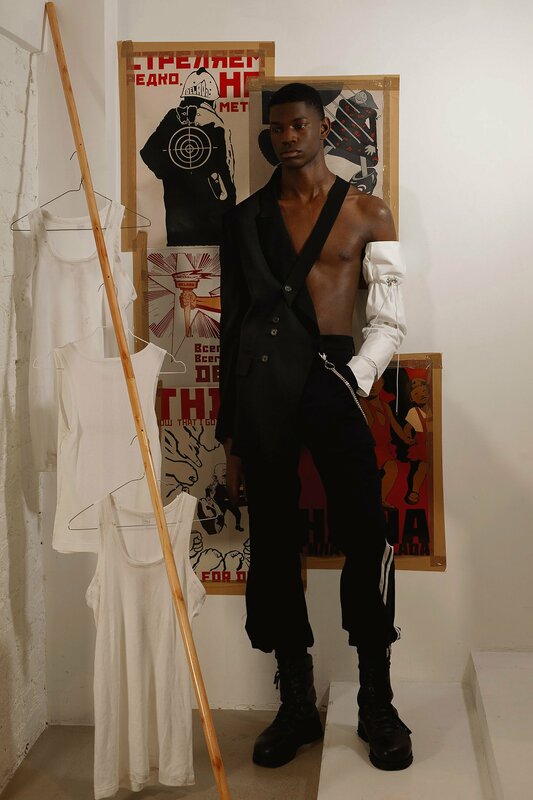 Our view of men’s fashion often mirrors our understanding of contemporary masculinity and its social framework; and that’s precisely the reason why, in recent years, menswear has become a testing ground for shifting ideas around gender and sexuality. 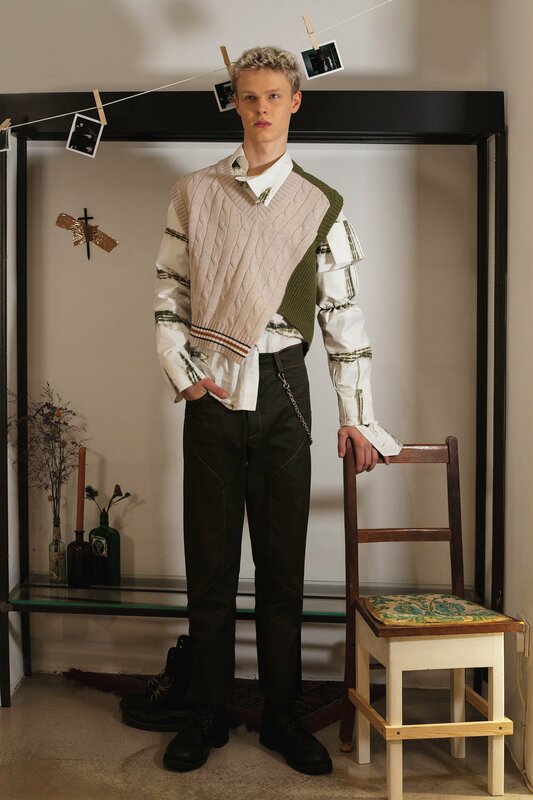 Experimentation in men’s fashion doesn’t look nearly as theatrical as in womenswear (though younger brands like London-based queer luxury label Art School are bringing John Galliano levels of excess to the runway). Often it’s subtle changes to materials or fit that prove the most radical. Eastern Europe has a long history of rigid masculine stereotypes: from hyper-masculine workers to tracksuit-clad mobsters to juvenile skateboarders. 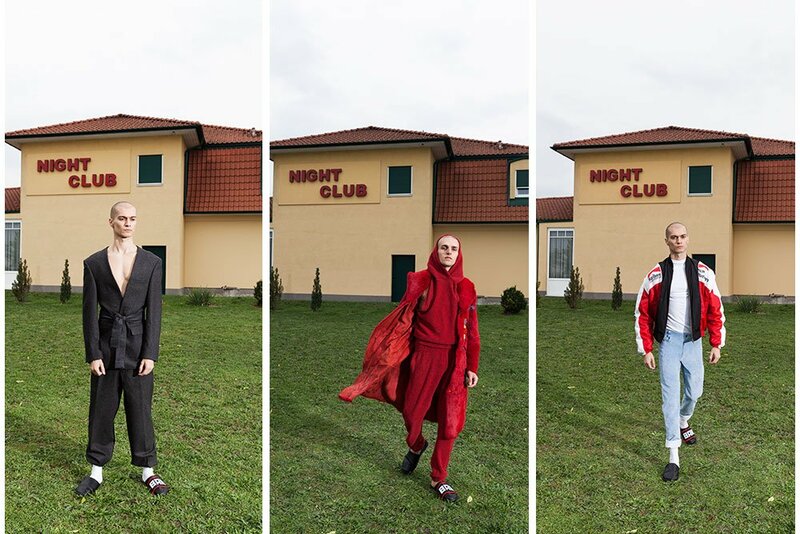 Today, a desire to reject or subvert these preconceptions has led Eastern European designers to change the face of contemporary menswear in the region. We’ve picked five men’s designer brands you need to know in 2019. Not many Russian menswear brands celebrate sensuality, probably because it’s the last thing you’d associate with masculinity. Nashe dismantles Russia’s long-standing obsession with hyper-machismo to explore emotions and vulnerabilities. 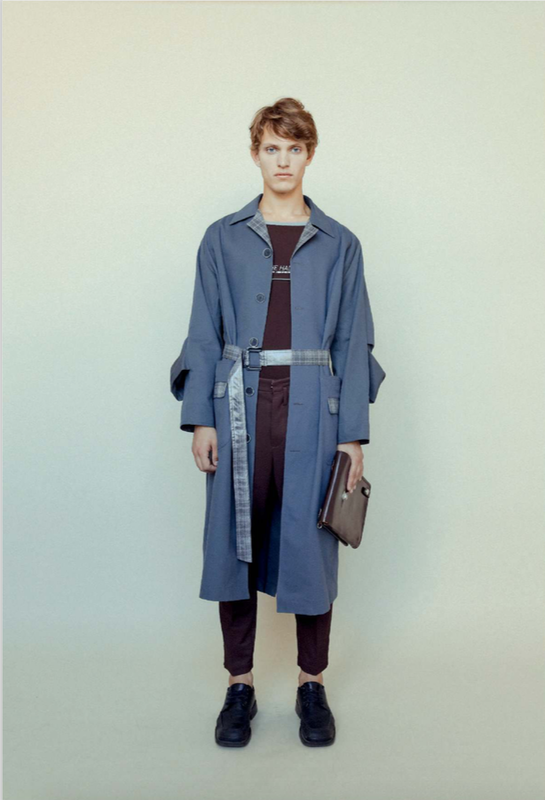 Their ethos comes through in the kinds of delicate details which remain taboo in menswear: elastic lace, sheer fabrics, and figure-hugging silhouettes. The designers are particularly interested in men’s underwear and swimwear and want to spur a new appreciation of male beauty. In the context of contemporary Russia, Nashe’s work reads as an ode to freedom, queerness, and self-determination. Originally from a village in the north of Bosnia and Herzegovina, designer Ilija Milicic moved to Vienna with his family as a child. The contrasting worlds of East and West and the eclectic culture of Vienna’s Balkan emigré community had a huge impact on his creative vision. 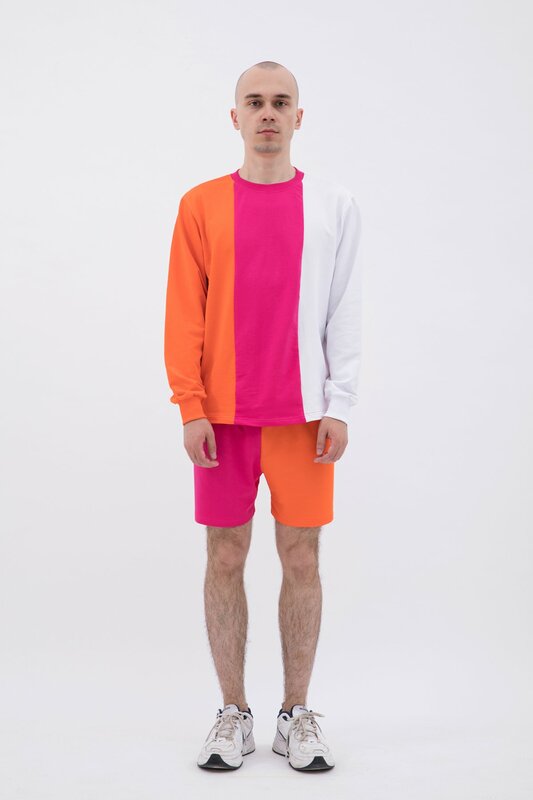 In his designs for Hvala Ilija, Milicic draws on the history of European immigration, now more relevant than ever, and challenges our understanding of Balkan masculinity. 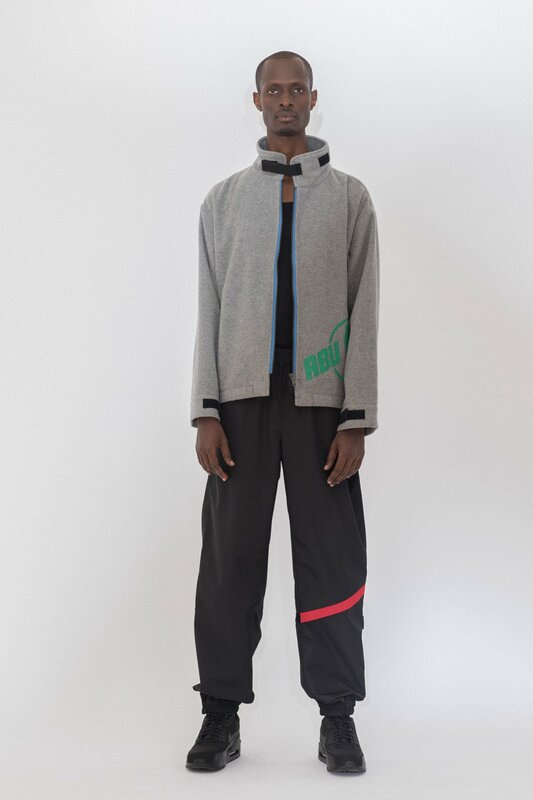 Moreover, his collections elevate the notion of “low culture”: a bus station becomes a getaway to one’s dreams and a tracksuit can be just as formal as a tailored suit. London-based designer Russian Lada Komarova often taps into her heritage for inspiration: from Moscow’s ornate metro stations to eclectic post-Soviet interiors to Russian smugglers who used to import foreign clothes illegally in the 1990s. DELADA, however, is not just nostalgia. Instead, Komarova is interested in the ambiguity of memory. By revisiting recent history through her designs, she opens up room for different interpretations of the past. DELADA produce menswear and womenswear, blurring the line between the two. From tailoring to knitwear, floral to gingham, the pieces could easily be worn by men and women alike — a reminder that gender fluidity is the new normal. 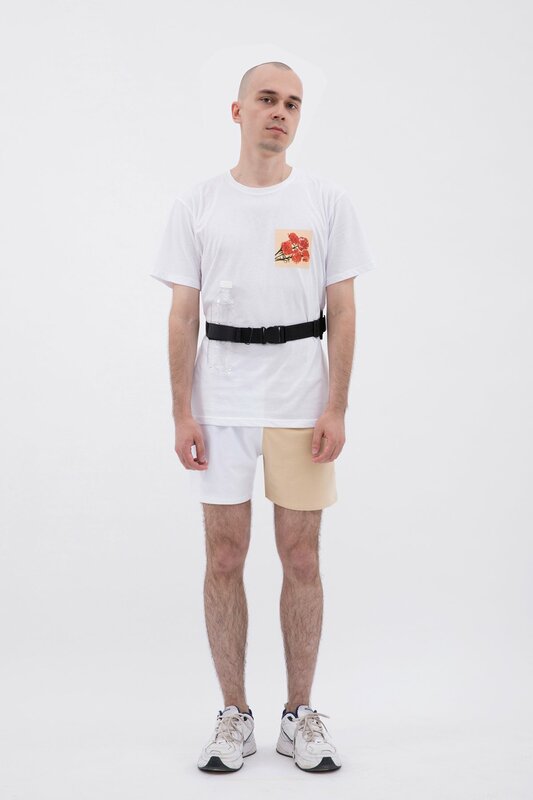 Moscow-based project Temporary Mark centres on the multi-purpose uniform, designed to eliminate the daily struggle of choosing what to wear, once and for all. 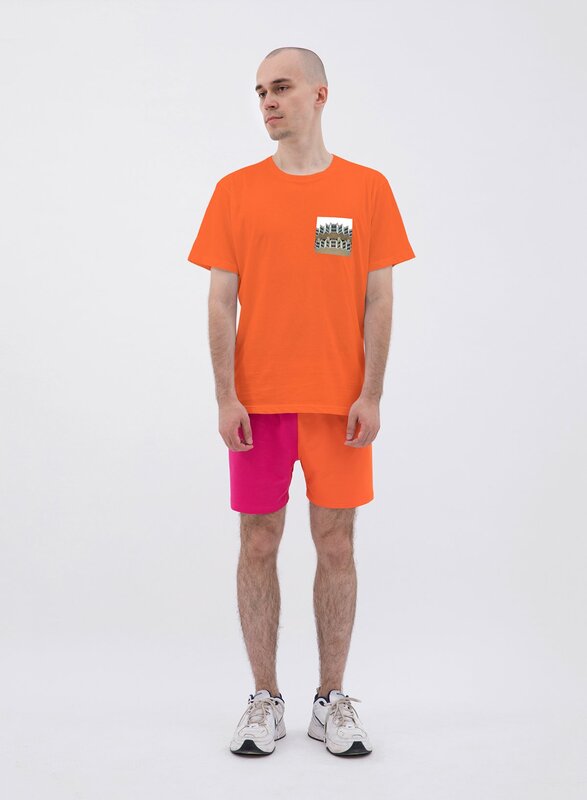 TM produces only five unisex garments: T-shirts, long-sleeve tops, shorts, and baseball caps. They come in three colour-ways for some variety. Stripped of details, TM seeks to simplify our approach to our clothes and lifestyles, but also bring intuition and playfulness to our wardrobes. 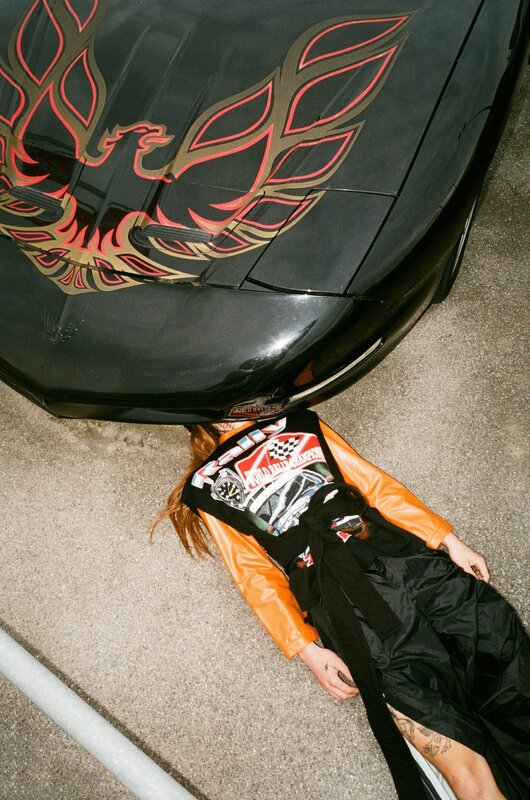 Based in Moscow, Abu Blunt is a designer and creative director using the language of sportswear to tell the complex stories of cultural exchange. 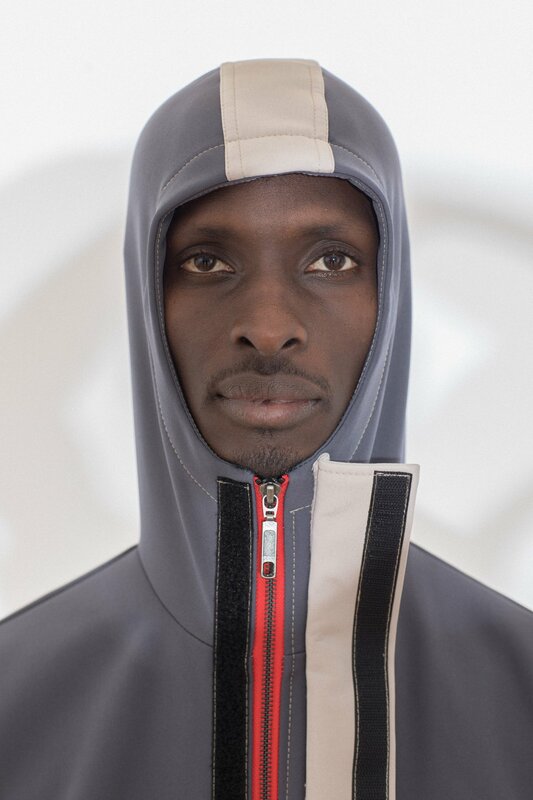 For past collections, he has researched the lives of African immigrants in Russia and created a high-tech version of Muslim dress. 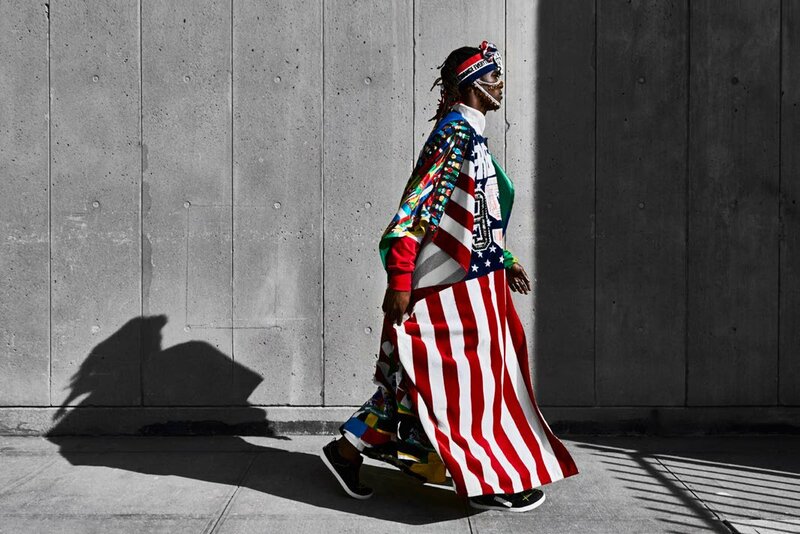 His new collection “Fragment 4” picks apart the images associated with global terrorism, as shaped by media and video games. 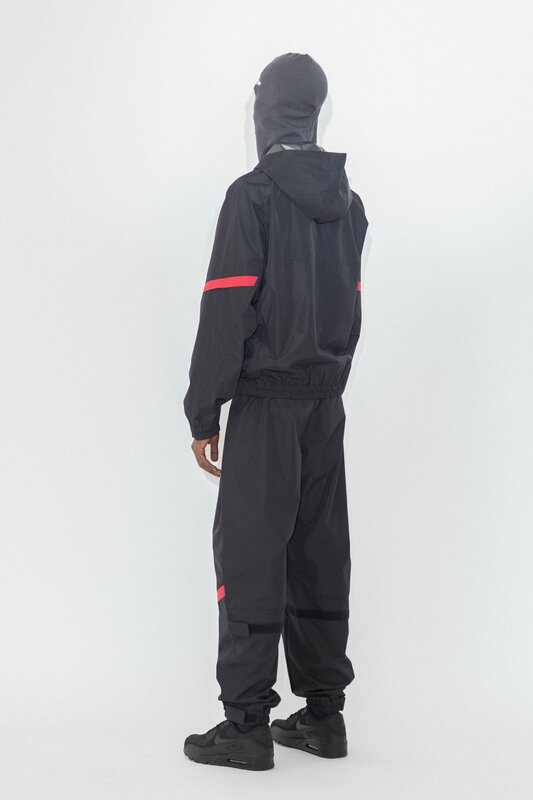 In this context, balaclavas and technical jackets take on a darker interpretation.